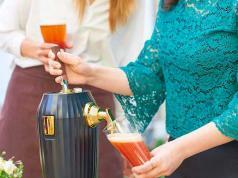 Here is a smart beer dispenser that lets you serve all styles of beer more conveniently. 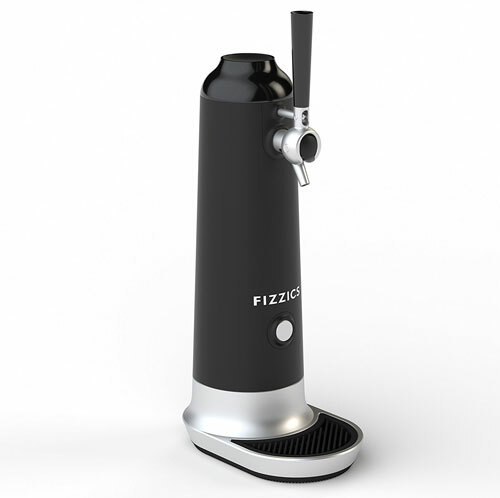 The Fizzics Waytap Beer Dispenser is compatible with 12 to 25oz cans and 12 oz bottles. It is powered by AA batteries, so you can take it with you anywhere. The Fizzics Waytap is pretty simple to use. 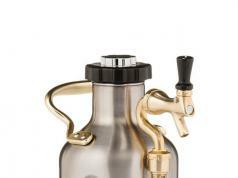 Simply pull the handle forward to start pouring beer. Costs under $130 at this time.